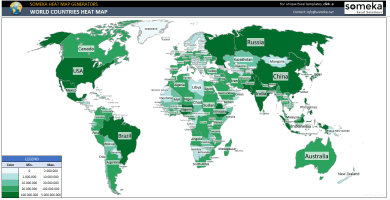 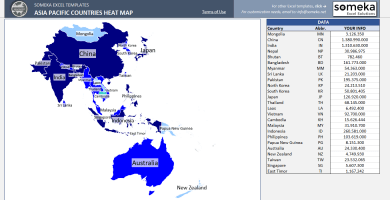 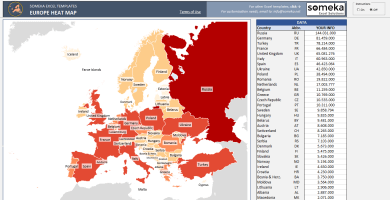 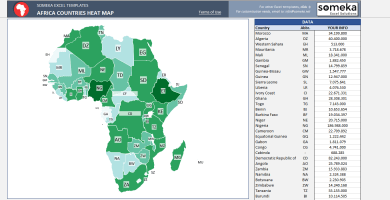 Do you have a set of data regarding a country, city or continent and you want to visualize it on a map? 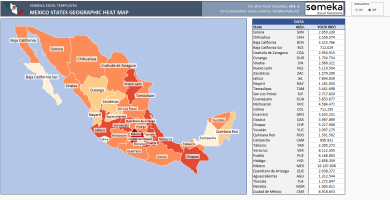 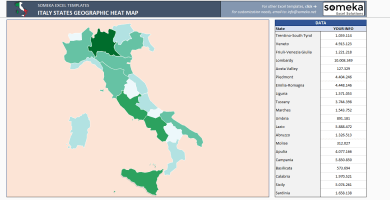 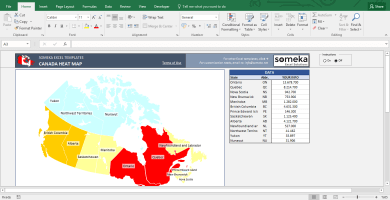 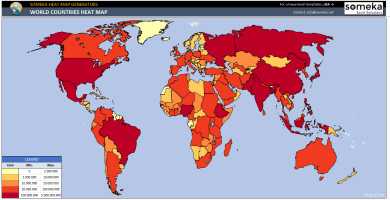 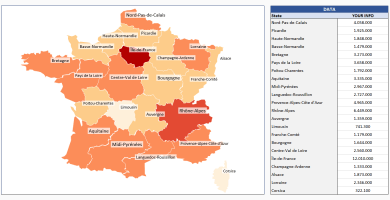 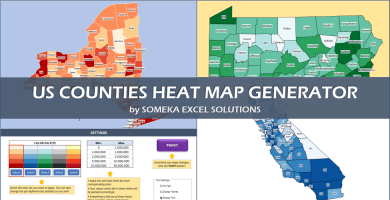 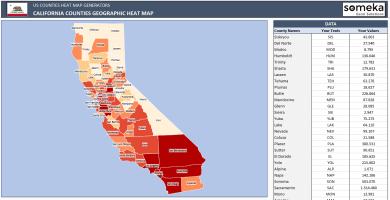 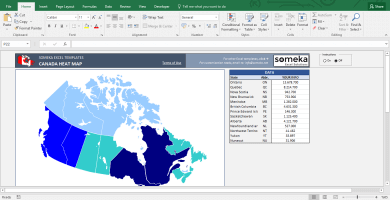 Using geographical heat map is a very viable data visualization tool since it would be harder to understand the data set if presented numerically in a spreadsheet. 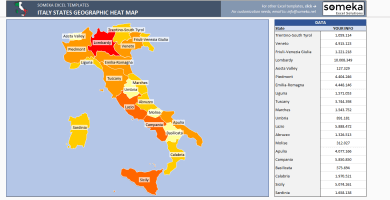 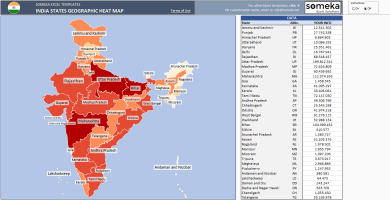 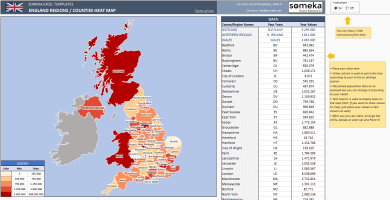 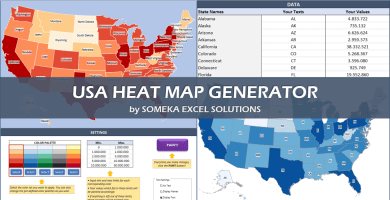 Browse Someka’s geographical heat map generator collection which has one of the largest range on web! 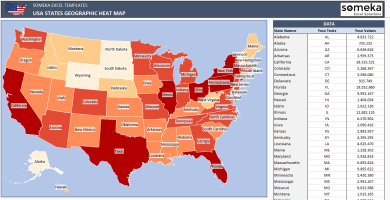 Within the collection, you will find from USA geographic heat map to World Countries heat map and so on. 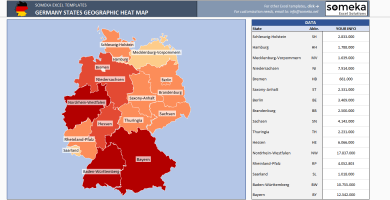 Trust us, one of our heat maps will extremely ease your life!